Severe thunderstorms will occur in parts of NSW today, with damaging winds, heavy rain and large hail all a threat. Some areas in the south may even see very dangerous supercell thunderstorms during the afternoon or early evening. A low pressure trough passing over NSW will trigger today's storms. While showers and lightning are a possible in most districts across the state today, the most intense storms will develop in the state's southeast and southern inland. 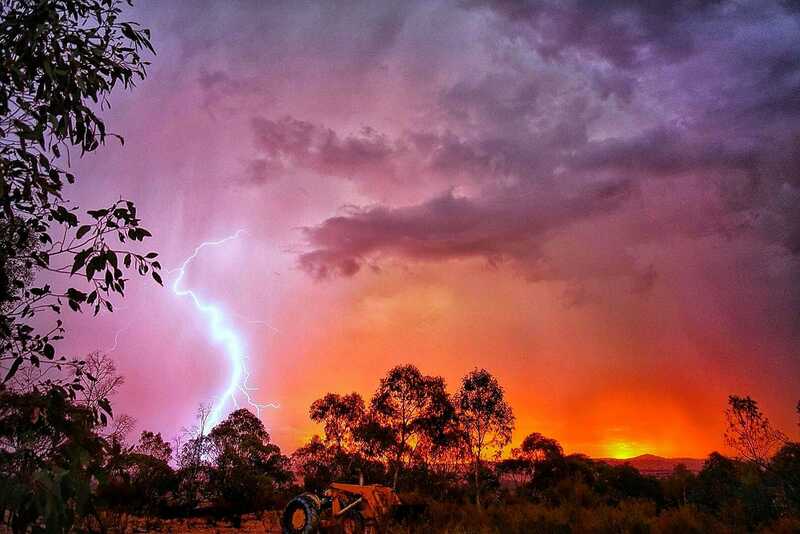 Image: A storm in Holbrook, NSW last weekend, by Leanne Bickley. This region has the most unstable atmosphere and strongest wind shear. Instability helps thunderstorms grow, while wind shear, which is a change in wind speed and direction with height, can cause storms to rotate. This rotation is a key ingredient for supercells because it allows storms to feed off the energy in their surrounding environment for longer before collapsing. Some supercells can cause destructive winds, giant hail and very heavy rain. While supercell thunderstorms are capable of producing destructive weather, their development is extremely difficult to predict ahead of time. Once storms start forming across NSW this afternoon, severe thunderstorm warnings will be issued and updated by the Bureau of Meteorology. These warnings will give information on the likely impacts of storms throughout the state, including any potential for supercell-driven weather. Visit http://www.bom.gov.au/nsw/warnings/ for the latest storm warnings in NSW.